Gently sparkling with notes of peach, white flowers, mandarin orange and nectarine. The palate also shows hints of ripe melon and dried apricot. Spicy dishes (Indian/Thai curry, buffalo chicken), shellfish (crab, lobster, shrimp), breakfast pastries, pancakes, prosciutto, chicken, light fish, ham, brie, biscotti, grilled peaches, peach shortcake, succulent cherry pie, creamy cheesecake, orange sorbet, glazed pastries, nougat, fruit tarts, cream desserts and those incorporating mascarpone cheese. It’s also great with lemon-poppy-seed cake or plain pound cake with caramel sauce, walnuts, banana slices and possibly dried apricots. We blended our drier Sicilian Muscat to the desired sweetness with our Lodi Muscat component, all-the-while “initiating” the wine’s spritz via a process learned in both Prosecco & the Napa Valley, at our world-famous-for-bubbly Hammondsport, NY facility. 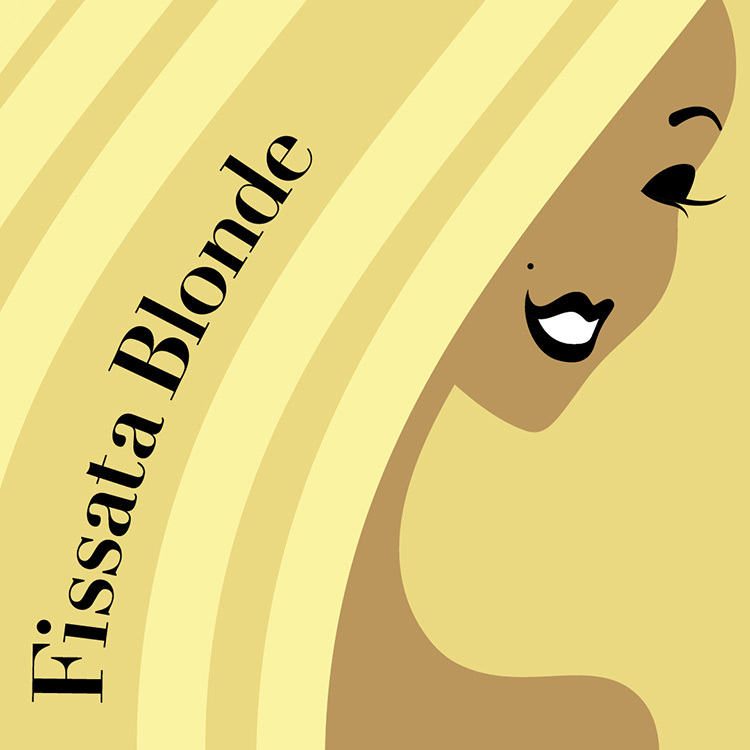 I really love that Fissata Blonde is not super sweet. It’s/She’s bubbly and refreshing alone or as a topper for sangrias. Yummm! Total must have for spring and summer sipping. Cheers ?? This wine pared very well with our garlic shrimp mixed green salad. We took the risk of having this light bubbly with fresh garlic. Score! I didn't like it as much as the regular Fissata, based on sweetness alone. But a good wine none the less. Is my new favorite wine! I usually drink only wine that tastes like koolaid. This isn’t as sweet, but not dry as a bone like most wines that aren’t sweet. It was refreshing and it wasn't too sweet. Just the right amount of everything!! Loved the fizz!! You can’t buy just one! !